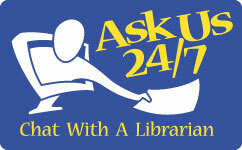 The Bird Library Helpline is a phone service for library patrons who need assistance of any kind. Call or text from anywhere in the building and a staff member will come to you. The Helpline service is offered during the same hours as the service desks on the 1st floor of Bird Library.